The truth!!. omg!!! that explains alot!!!1. 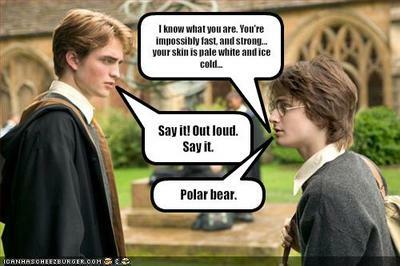 Wallpaper and background images in the Гарри Поттер против Сумерек club tagged: twilight edward cullen harry potter polar bear. This Гарри Поттер против Сумерек fan art might contain деловой костюм.